The Portfolio Committee on Transport heard on Tuesday that the Road Accident Benefit Schemes (RABS) Bill was not ready for implementation, following input sourced from the public consultation process. The Chairperson of the Committee, Ms Dikeledi Magadzi, said the Committee accepts the explanation offered by the Department of Transport (DoT) on the pending finalisation of the Bill. “The Committee would want to effect the input of South Africans into the Bill; public consultation should not be just a mere formality to conform to legislation,” Ms Magadzi said. “The Committee is by the work that is done by RAF as they traverse the length and breadth of SA. 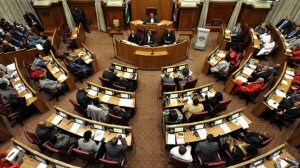 The Committee would want to see a situation where RAF is no longer a growing concern as outlined in the Budget Speech. This will be in line with the approach of a Developmental and transformation agenda of Government,” she said. The department indicated that family support, income and support benefit, funding model, and the benefit levels – issues that all emanated from the public consultation process – were issues that delayed the finalisation of the RABS Bill. The issues raised by the community are still being researched. The Chairperson said as soon as the programme of the Committee allowed a workshop on the Bill would be done by the Department, RAF, and the Road Traffic Management Corporation (RTMC) for Members.